In happier times, at right, Dilip Singh, 79 and his wife Rosie, 78 of Suklal Trace, San Francique. Dilip was burnt to death and his wife Rosie, 78 warded at the San Fernando General Hospital after there home was destroyed by fire. RE COPY BY ANIL RAMPERSAD. ROSIE Singh screamed in horror as she ran back into her burning house to try to save her husband Dilip Singh, 79, who was trapped inside a bedroom. 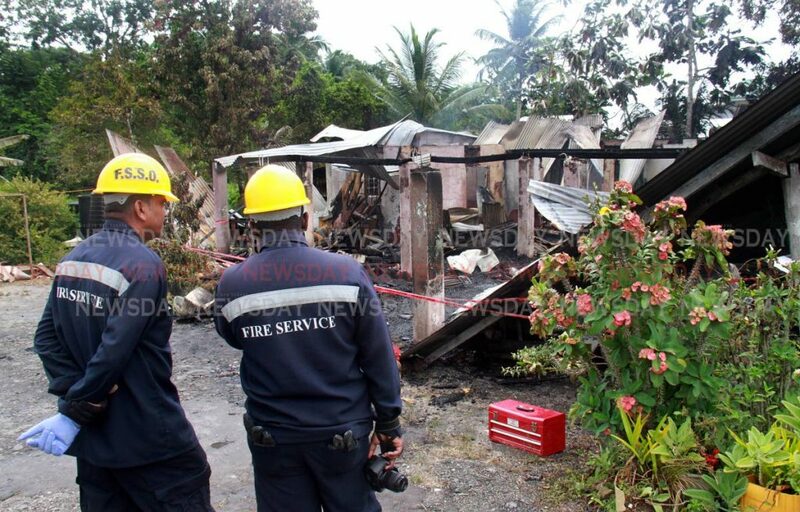 The 78-year-old woman's sons rushed behind her and managed to pull her out of the burning house along Suklal Trace, San Francique last night. As a result, Rosie suffered burns to her chest and legs and remains warded at San Fernando General Hospital in a serious condition. Her husband was burnt to death inside the house. His skeletal remains were found in the bedroom. 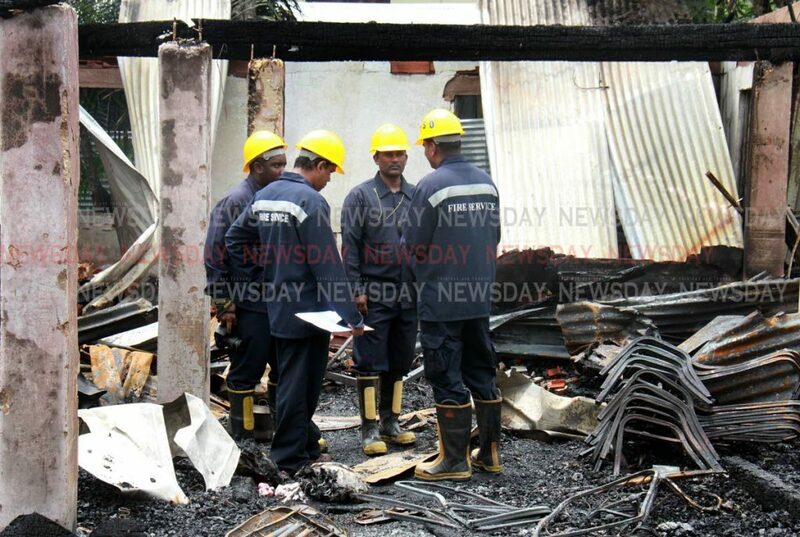 Fire officers on the scene at Suklal Trace, San Francique, where Dilip Singh 79 was burnt to death. According to a police report the fire started at about 11 pm in a room near Singh’s bedroom. Rosie was lying on a couch in the living room. Her husband was in the bedroom asleep. Their sons Fazil Mohammed, 41, and Stephen Mohammed, 38, along with two other relatives Wahid Mohammed, 37, and Denisha Mohammed, 20, were in separate rooms. Fire officers on the scene at Suklal Trace, San Francique, where Dilip Singh 79 was burnt to death. 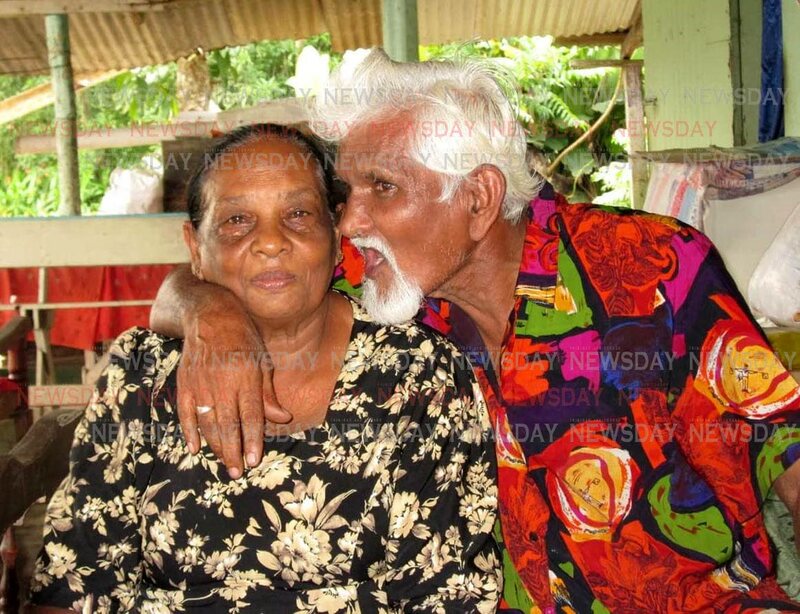 His wife Rosie, 78, is warded at the San Fernando General Hospital after their house was destroyed by fire. 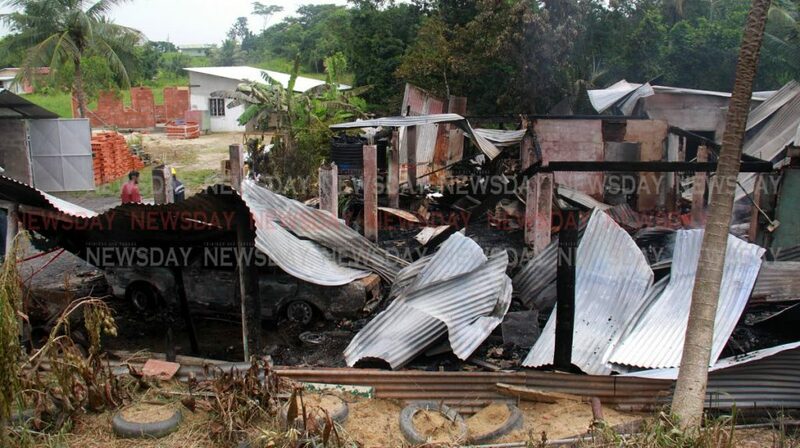 Another son Hamid Mohammed and his wife Priya and their three children: nine-month-old Jeremiah; five-year-old Jessica and Justin, nine, managed to run out of the burning house to safety. Hamid said that his mother is grieving and has not yet stopped crying. “Her tears like it can’t stop. She is really hurt. But we could have lost her too. She thought somehow she could have saved him. At that point in time I know she was not thinking straight,” Hamid told Newsday. He said when the fire started to spread they managed to rush their mother out of the house but she ran back into it on realising her husband was still trapped. “I tried to save my father but I could not. I really tried...I'm sorry dad,” he cried. Hamid said his parents were together for over 40 years and were very close. “This is the hardest thing I have ever faced. I can’t believe my father is gone just like that, with no warning.” Siparia police are investigating. Reply to "Man dies in fire, wife critical after trying to save him"